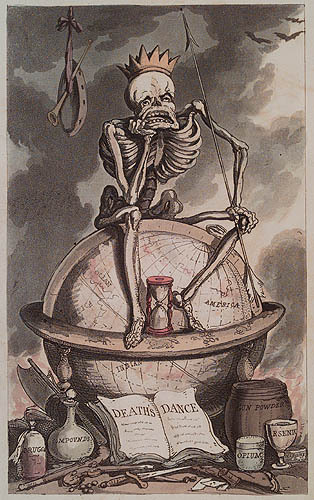 A Journal of the Plague Year is a novel by Daniel Defoe, first published in March 1722. 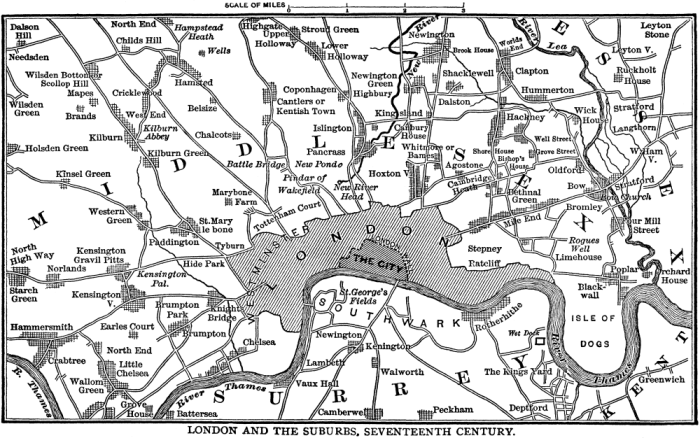 The novel is a fictionalised account of one man's experiences of the year 1665, in which the Great Plague struck the city of London. The book is told roughly chronologically, though without sections or chapter headings. 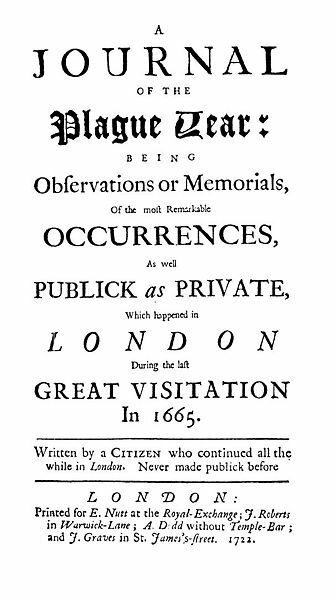 Although it purports to have been written several years after the event, it actually was written in the years just prior to the book's first publication in March 1722. Defoe was only five years old in 1665, and the book itself was published under the initials H. F. The novel probably was based on the journals of Defoe's uncle, Henry Foe. 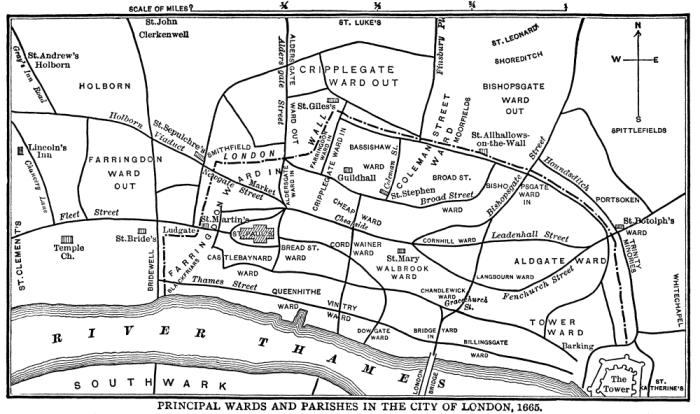 In the book, Defoe goes to great pains to achieve an effect of verisimilitude, identifying specific neighborhoods, streets, and even houses in which events took place. Additionally, it provides tables of casualty figures and discusses the credibility of various accounts and anecdotes received by the narrator. 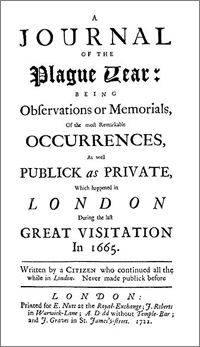 The novel often is compared to the actual, contemporary accounts of the plague in the diary of Samuel Pepys. Defoe's account, although fictionalized, is far more systematic and detailed than Pepys's first-person account. Moreover, it may be compared to the description of the plague in the Italian Manzoni's The Betrothed (orig. Italian: I Promessi Sposi). In spite of some analogies (for example, both novels were written many years after the end of the plague), the two writers used different techniques: Defoe wrote a work full of details, but he used a detached tone, while Manzoni was not only able to reconstruct the general atmosphere of the pestilence-stricken Milan, but he also analysed the individual responses to the plague with a poetic sensitivity of his own.